The 2015 Toyota Prius is practically the poster car for fuel efficient transportation. 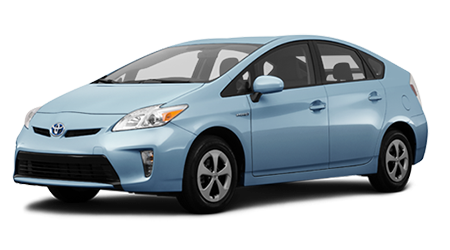 Lipton Toyota in Fort Lauderdale, FL has all the Prius shapes and variations, including the plug-in, and a knowledgeable staff to assist you in finding the one right for your needs. If you are in Hollywood, Deerfield Beach, or Weston, FL you'll find we're just a quick drive away, and easy to get to. 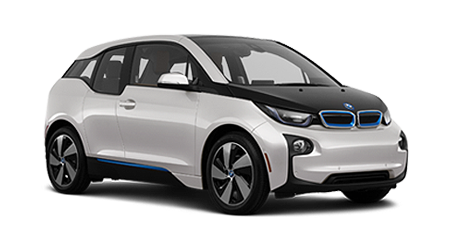 The new 2015 BMW i3 electric is their first entry into this market, and it's very well thought out, but Toyota has been in the game longer. The BMW i3 has an all-electric range that is very good at about 80 miles on a full charge, and the option of a gasoline range-extending generator (REX). The Prius, of course, has a hybrid powertrain using both gas and electric at most times, and can go 600 miles on a full tank of gas. Compare the Prius Plug-in with the BMW with its REX and it's still no contest. The plug-in Prius has 11 miles of pure electric range, but then over 500 miles of hybrid range, while the i3 with a full battery and tank of gas has about 150 miles before needing more gas or a recharge. Saving money on gas is great, as is saving the environment, but why does it have to cost so much? The base i3 without the range extender is over $12,000 more than the fully loaded, top of the line Prius. With the REX, the i3 is over $11,000 more than the Prius plug-in and over $16,000 more than the regular Prius. The 2015 Toyota Prius hybrid or Prius Plug-In hybrid can be driven just like a regular car, with no compromises and no worries about having to stop and recharge is. Let the knowledgeable staff at Lipton Toyota in Ft. Lauderdale show you all the advantages of this advanced hybrid car with a quick test drive today.